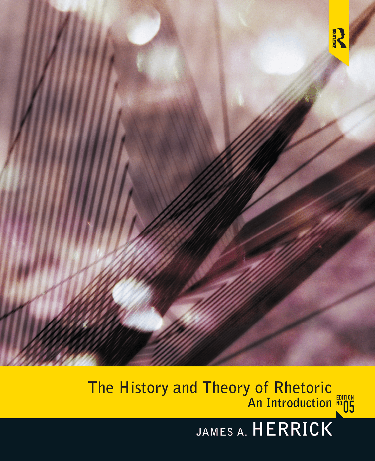 The History and Theory of Rhetoric offers discussion of the history of rhetorical studies in the Western tradition, from ancient Greece to contemporary American and European theorists that is easily accessible to students. By tracing the historical progression of rhetoric from the Greek Sophists of the 5th Century B.C. all the way to contemporary studies–such as the rhetoric of science and feminist rhetoric–this comprehensive text helps students understand how persuasive public discourse performs essential social functions and shapes our daily worlds. Students gain conceptual framework for evaluating and practicing persuasive writing and speaking in a wide range of settings and in both written and visual media. Known for its clear writing style and contemporary examples throughout, The History and Theory of Rhetoric emphasizes the relevance of rhetoric to today's students.